Doing My Best: An Exciting Culinary Discovery! 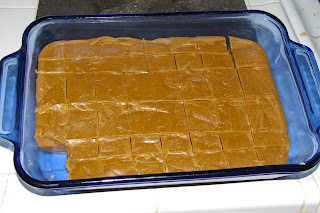 When I started making the Treacle Fudge for our Harry Potter Day tomorrow, it crossed my mind that it was POSSIBLE that this could end up being similar to the See's Butterscotch Squares I like so much. But! I didn't want to get my hopes up, so I tried to ignore that thought. and I would say it is PRETTY DARN CLOSE! Not EXACT, of course, and I haven't had a Butterscotch Square since before my vacation, but not having had one in so long, I can say that this is a close approximation (not counting the chocolate)! The texture is just right: dense, moist, and a little grainy, and the flavor is very similar! 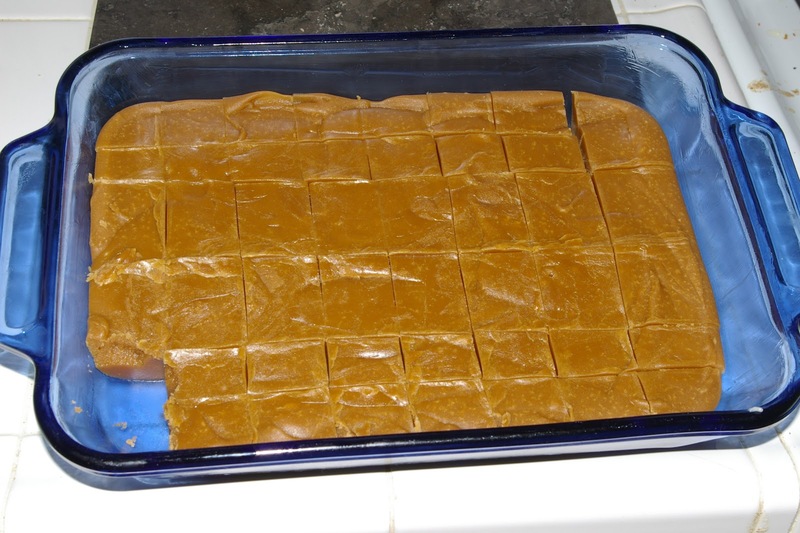 Given that real Butterscotch Squares are about $20 per pound + a trip to the See's store, I think I'm going to be very happy with this recipe! 1. Grease an 8-inch square pan and set aside. 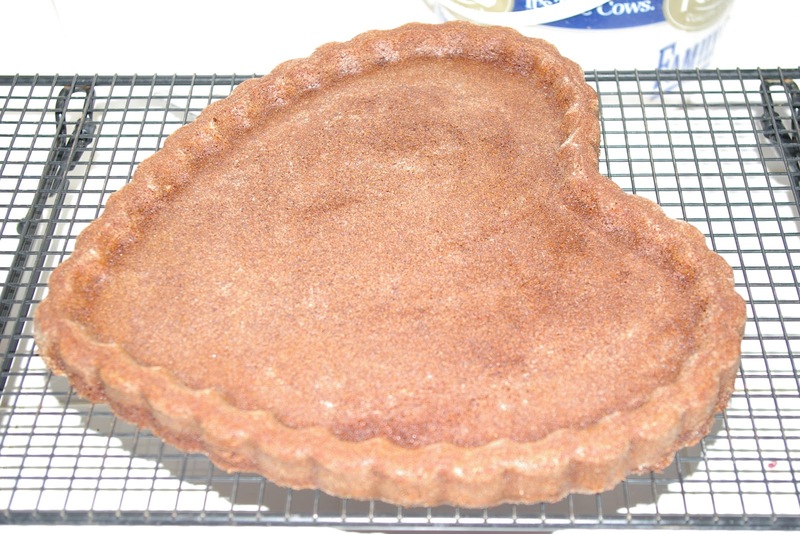 Combine the granulated sugar, brown sugar, butter, heavy cream, treacle, and cream of tartar in a medium saucepan. Cook over medium-high heat, stirring constantly, until the butter is melted and the ingredients are combined. Wash down the sides of the pot with a pastry brush dipped in hot water if sugar crystals form on the sides, to prevent recrystallization (I did this, JUST TO BE SAFE, because I haven't made fudge before and wanted to be extra careful about following the directions). Clip a candy thermometer to the side of the pot and continue to cook without stirring until the mixture reaches 240 degrees F on the candy thermometer (This part takes a while, and I kept glancing nervously back at the directions to be CERTAIN that I wasn't supposed to be mixing all this time). 2. Remove the pan from the heat and stir in the vanilla. Allow the bubbles to subside and the mixture to cool slightly, about 5 minutes (I set the timer for 5 minutes). Remove the thermometer and beat or stir vigorously with a wooden spoon (don't have a wooden spoon, so I used a heat-safe plastic spatula) until the mixture loses its gloss and is very thick, 15 to 20 minutes (I set the timer for 15 minutes; it is good to have energetic children nearby to spell you, if they can understand the concept of "DON'T SPLASH THIS ON YOURSELF BECAUSE IT IS VERY HOT!"). Scrape the mixture into the prepared pan (This wasn't NEARLY as awful as trying to scrape rice crispy treats into the pan!) 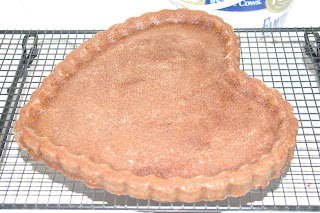 and smooth the top (I did not feel the need to smooth the top). You can use a piece of plastic wrap and the palm of your hand to do this. 3. Cool completely before cutting into 1-inch squares. So! Anyone who tries this, report back in the comments so we can get a broad sampling of opinions and any variations of the recipe!! I SO want to come over to your house tomorrow. HOORAY for finding a cheaper and more convenient alternative to your favorite treat! 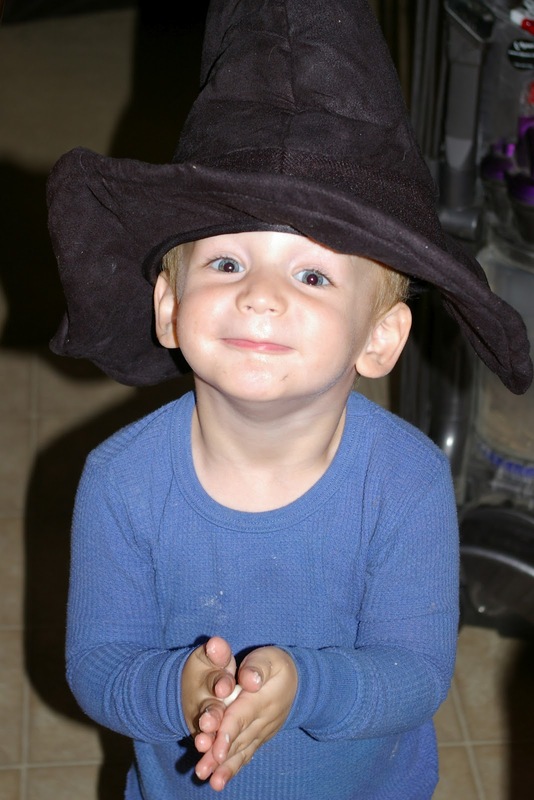 And oh my gosh, Baby is ADORABLE!!!!! This is VERY EXCITING. I am looking forward to experimenting with the addition of MILK CHOCOLATE. I wish I could come to the party, too! Such a clever idea for a special day... and so glad the fudge turned out for you!!!! The fudge looks YUMMY! 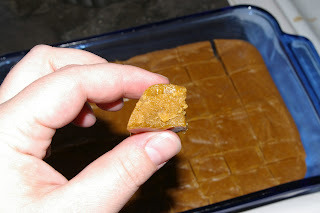 I've never had a butterscotch square (or any See's), but I'm intrigued by this recipe. Butterscotch is so yummy and so underappreciated in the kitchen. I will try these. Thanks!